Auto World’s new 4Gear chassis is based on a classic extended “pancake” design. It features an extra gear on its lengthened power transfer plate. The extended wheelbase and narrowed rear end fitted with gigantic dragster-inspired wheels make it perfect for custom applications and totally wild specialty vehicles! And that’s not all… Flip the chassis over and you’ll find two neodymium traction magnets to make these dynamite racers grip the track for super high speed racing excitement! I’ve been waiting for this sucker since I got my first slot racing set in 1972! Not quite what I wanted, a G-plus car would have been really nice. My theory is they used the four gear chassis to compensate for the longer wheelbase of the Batmobile. On a four gear chassis there is no body clip and the chassis and front wheels are screwed to the body. So what scale is it? When the word “pancake” is used, it can only mean HO scale. Having been an old slot car guy since the 60’s, Aurora is the only one to make a pancake motor, and only in HO scale. 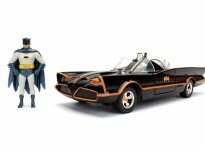 A few other Bat-sites have been stating it is a 1/32 car, but if it has a pancake motor, they are wrong. 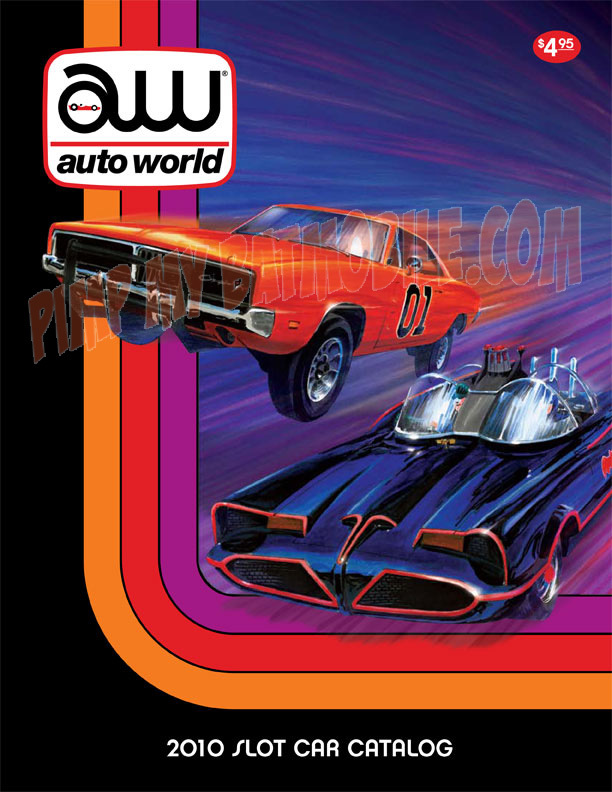 As far as I’ve seen – and I’m not as ‘in the know’ with Round 2 (their choice, not mine) as I am with Hot Wheels news – we’re getting the standard T-jet style Batmobile slot car body with a few different deco/wheel packs. Personally – I’m not much of a 1:64 guy, or a slot car guy. Never liked them much. 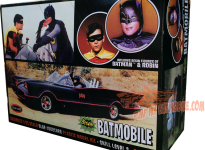 I love ALL Batmobiles in ALL scales but – wake me when the 1:25 model kit arrives! It sure is a nice, accurate image on the cover of their catalog (even has Batray stripes).